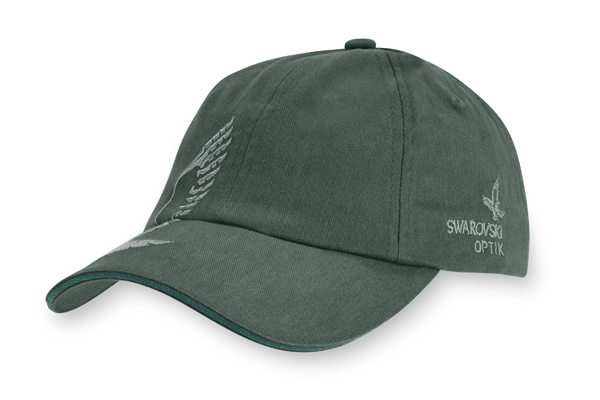 The classic Swarovski Optik cap in green comprises six panels, with the front two being double-layered. The size can be adjusted using a Velcro fastener. The cap also has a leather patch on the right side, which can be used to attach personal objects.